Litigation attorneys have the option to use an expert witness, defined in the Federal Rules as someone who is “believed to have expertise and specialized knowledge in a particular subject beyond that of the average person, sufficient that others may officially and legally rely upon the witness’s specialized opinion about an evidence or fact issue within the scope of his expertise”. Bringing in specialized outside knowledge about a specific industry or body of knowledge. Assisting in formulating and analyzing the theory of the case, from an industry perspective rather than a legal perspective. Assisting in formulating discovery requests for evidentiary materials. Assisting in structuring the questions for witnesses in depositions. Rebutting the testimony of the other side’s expert witness (if they have one and you don’t, you are at a distinct disadvantage). Adding credibility to your arguments in the eyes of a jury. Explaining a case in non-legal non-technical terms to the jury; educating them. How should you approach selecting an expert? Select early in the process of developing your case; an expert can be valuable in the initial stages of defining your case, requesting discovery materials, and framing questions for witnesses in depositions; selecting an expert early can give him sufficient time to undertake a detailed analysis, industry research, damages calculations, and develop a strong Report; a rush job does your client no favors. Select carefully; rely on references and testimonials from other litigators; read the candidates’ Reports from previous cases, to avoid embarrassing changes of opinions; try to interview the prospect in person, even if over Skype (for an out-of-town expert), to get a sense of the expert’s ability to handle himself in an adverse situation; some experts have made video clips of themselves which you can review. Consider retaining the individual initially as a non-testifying consultant, to get a feel for how you can work with this expert, and then shift him into the role of testifying expert, if your particular court will allow that (some do, some don’t). Discuss and clarify your expectations of the expert – how do you view the case, what are the key elements, what do you want him to focus on (and what not to focus on); what specific opinions are you seeking; discuss the anticipated timeline for the case, and in particular when you think you will need him for deposition, Report, rebuttal, and trial. Clarify with your expert the rules in your jurisdiction on methods of communication; are the expert’s work products and communications subject to discovery? Control your expert; remind him that he is not an advocate (an easy trap to fall into, and the #1 concern of many trial judges); very carefully define his roles and responsibility, and the limits to those; remember that if your expert’s work is thrown out on a motion in limine, you have wasted a lot of time and money (I have seen that happen!). Be sure to review drafts of your expert’s Report; if there is no discovery issue, then it is a simple matter to email drafts back and forth; in jurisdictions where there is discovery of expert’s communications, there are other ways to get around that, including the use of laptop and projector, GoToMeeting or Webinars (something I routinely do). Rehearse before the deposition and especially before trial; your expert’s Report will be the basis for his deposition, which will be the basis for trial testimony, so it is important for the expert to be consistent, which means a rehearsal, perhaps even a ‘mock deposition’ and role-playing of difficult questions. Use the expert to assist in preparing detailed trial exhibits. 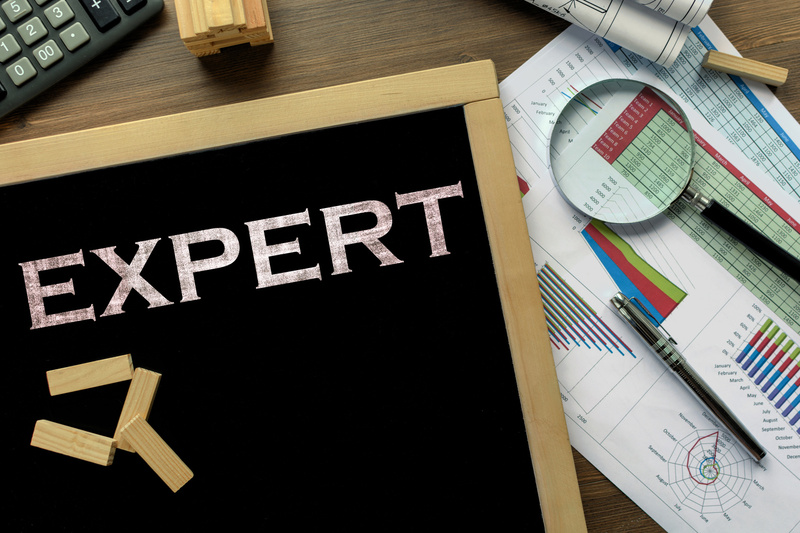 If your case gets to a jury trial, help your expert appreciate that his role has now shifted from “expert” to “educator”, serving to clarify complex issues to a jury that may be feeling overwhelmed by the late stages of the trial; your expert needs to demystify the case. Your expert is an integral part of your legal team, capable of adding considerable value to the ultimate resolution of your client’s case. Dr. Don Keysser, CM&AA, Managing Principal of Hannover Ltd., has over 30 years experience as an investment banker, and has served on 37 business-finance cases to date, including issues of defaulted financings, investor disputes, damages calculations, due diligence and disclosure, and fraud. He works nation-wide, and has worked as both a plaintiff’s expert and a defendant’s expert. Don is an Associate Professor of Finance at the University of Minnesota and Saint Mary’s University. Contact Hannover Consulting for more information!